Emily Cheng is an undergraduate student in linguistics. She is also very interested in film production and pursuing a Masters in Leadership for Creative Enterprises. She wrote this text as a senior enrolled in 418 ‘Language and Minorities in Europe’. Inari Saami, also known as Aanaar Saami, is one of the three Saami languages spoken in Finland. All nine of the current Saami languages are considered endangered; with about 350 speakers, Inari Saami is considered seriously endangered (6). Inari Saami (IS) is spoken by the Inari Saami people, who reside in the municipality of Inari; most speakers are middle-aged or older. 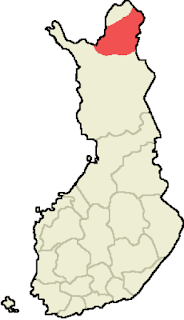 IS is the only Saami language spoken exclusively in Finland (1). The Saami people in Northern Europe suffer discrimination against their people, language, and culture. The clothing is considered strange, they often are not wealthy and therefore are considered to have a lower social status and to be inferior to modern cultures (5). The Saami language is viewed as an obstacle in a competitive environment and has a number of proponents who are fighting to keep the language out of schools in Finland. Often times, Saami parents decide to speak the official language with their children at home, to avoid humiliation and to give their children better opportunities (4). Inari Saami is a “minority of a minority”, complete with a small body of speakers; it too suffers diminished usage at home like the other Saami languages. The Saami Language Act, passed in Finland in 1992 made a valiant effort to bring Saami up to the status of Finnish. However, it only extended to designated Saami areas. Smaller communities, such as the Inari Saami, did not experience the benefits of the act (5). The method of using language nests for the revitalization of Inari Saami perhaps has single-handedly began the relatively efficient and quick success of IS revitalization. A language nest is an early immersion of preschool-age children, taught completely in the local minority/indigenous language from Day 1 by linguistically and culturally proficient elders. Not only do children learn the language they don’t have access to at home, the preschool teachers and parents often develop proficiency in IS along the way (4). The use of language nests has made IS more visible in the community, upgraded the status and prestige of the language, and is producing a generation of young bilinguals. More media and literature is also being produced in response to a shift in children’s culture. After 2000, Inari Saami became the main language for school instruction with the “language nest generation”. However, with the rapid revitalization, there comes a lack of speakers aging 20-50 years old (2). Without adults, there is no force to produce teaching materials, provide financial backing, nor to occupy related jobs to the revitalization of IS. The Giellagas Institute of the Oulu University had a solution. From August 2009 to August 2010, the CASLE (Complementary Aanaar Saami Language Education) program began (1, 3). Seventeen adult students, ranging in occupation from teachers, daycare personnel, a priest, and a radio journalist, participated in an intensive language course. Not only did courses produce language skills for these professionals critical for language transmission, they also covered Inari Saami culture and arranged internships in IS speaking workplaces (2). These seventeen individuals went on to revolutionize the Inari Saami revitalization. Even with the success of revitalizing Inari Saami, it still has a long way to go. There are still very few IS-speaking environments outside of the learning nests and schools. 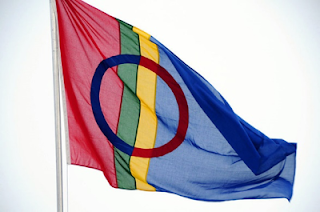 The lack of language rights for all Saami languages, as well as its diminished social status and lack of political power of the Saami people, still threatens the endangerment of the languages. What do you think the future holds for the Saami languages? If this topic interested you, check out this 10 minute documentary about the Inari Saami revitalization in the northeast of Finnish Lapland. 9. IET. “REBORN (with English subtitles)”. Online video clip. Youtube. Youtube, 9 July 2012. Web. 16 Apr 2016. I've studied the efforts to revitalize the Saami languages through literature, and the subsequent need for literature for all age groups, but hadn't heard of the language nests. Though a generation as been "lost", it sounds as though creative solutions are filling the gap.